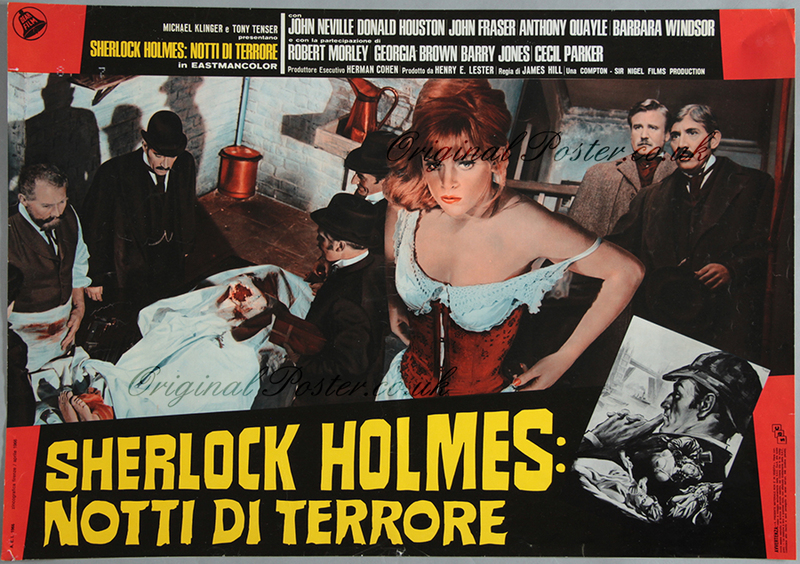 Details This April 1966 Italian photobusta for "A Study in Terror" captures the era of the Whitechapel murders perfectly and features great Sherlock Holmes imagery in rolled condition. Complete with perforated stampers and two gorgeous full colour scenes picturing Adrienne Corri, and John Neville as Sherlock Holmes. Complete with Deer Stalker, Sherlock Holmes's portrayed in a pensive black & white portrait also at the bottom right corner.